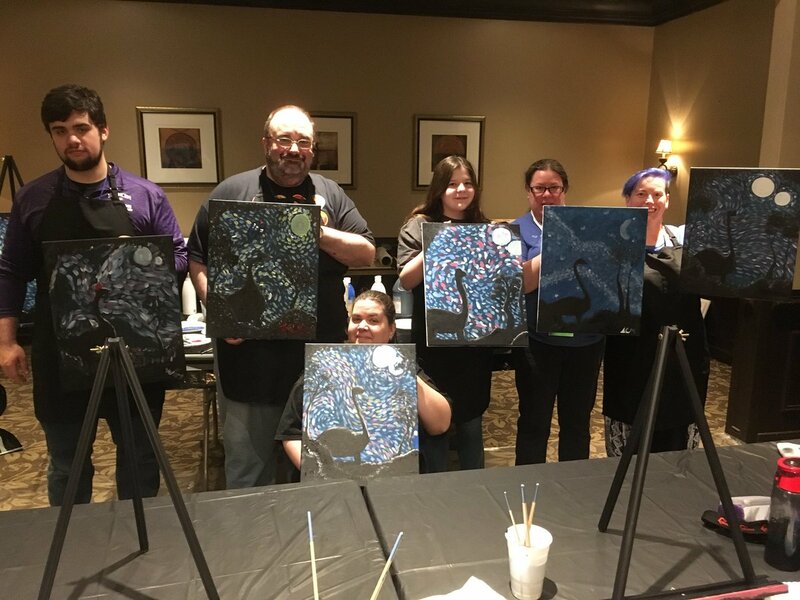 Our social painting events are returning for the fourth year in a row to CONsole Room! 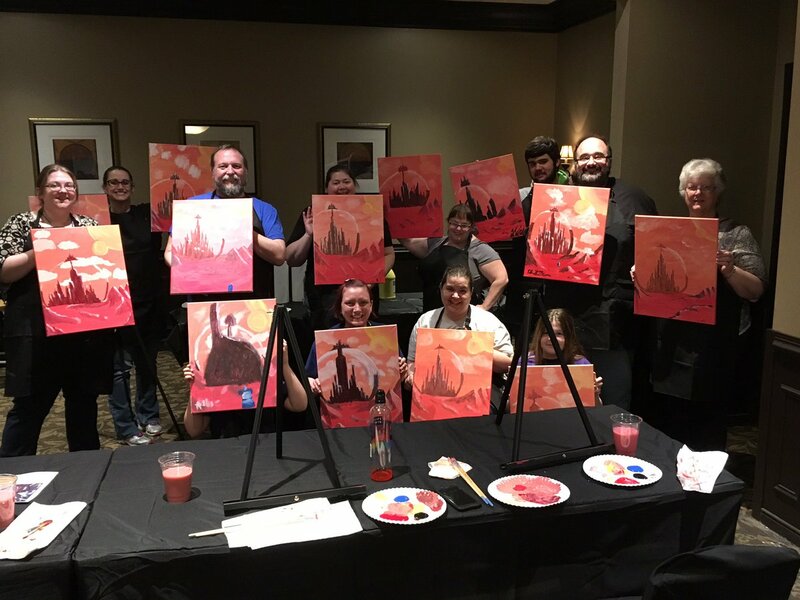 Capture your inner Plasmavore as we walk you through your very own painting step-by-step. You don't have to be an artist to attend, it's open to CONsole Room 2020 attendees of all ages. This year we have paintings available on ALL THREE days of the convention! Choose to do a painting on Friday, Saturday, or Sunday and go home with a finished 16x20 painting that you did yourself. Class sizes are limited, so sign up early to ensure you have a spot. You'll be amazed at what you can create! Please Note: Your $20 registration covers the materials fee for this class. This fee is not included in your regular CONsole Room admission. 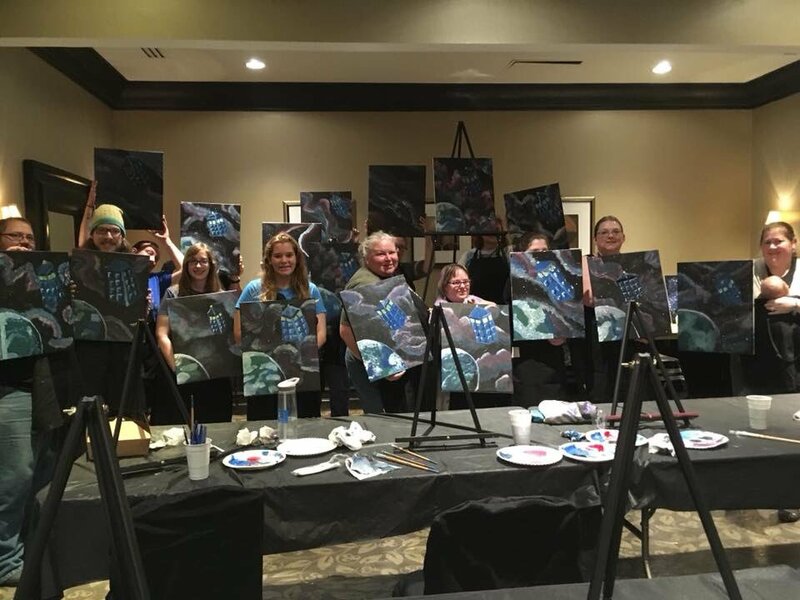 A membership to CONsole Room 2020 is required to participate in a Painting with Plasmavores session. Our artist will walk you step-by-step through your very own painting in this three-hour painting session. Our artist will walk you step-by-step through your very own painting in this three-hour painting session. This painting includes LEDs! 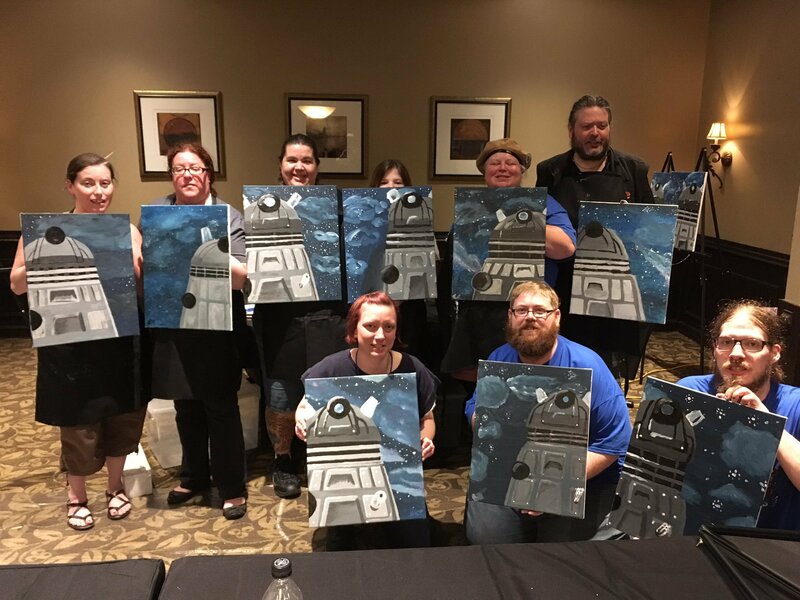 Our artist will walk you step-by-step through your very own painting in this two-hour painting session. Can anyone really complete this painting? Absolutely! Our artist will walk you through every step of the painting so anyone of any skill level can complete the painting. And if you're still a little nervous you can grab a drink at the hotel bar (if you're of age, of course) and bring it in with you! The class is open to all ages but we do recommend children be at least 12 years old to participate in the painting. Wear something comfortable you don't mind getting paint on. We will have aprons, but better to be safe than sorry! We recommend showing up 15-20 minutes in advance. Take a look at the beautiful paintings created at the 2018 convention! Take a look at the beautiful paintings created at the 2017 convention!